The beauty of living in a legal state, whether it be medical or recreational (or both!) is the ability to grow your own cannabis in the comfort of your own residence. This allows the ability to have your own crop and avoid having to go to a dispensary or collective to pick up your medicine (or recreational weed). A lot of dispensaries you go to are also growing at such a large scale, or commercial level that they typically do not have the staff or work force to baby a set of plants like you would in your legal grow. Growing for your own can be easy, but to produce a quality crop it most definitely required knowledge, time and patience. 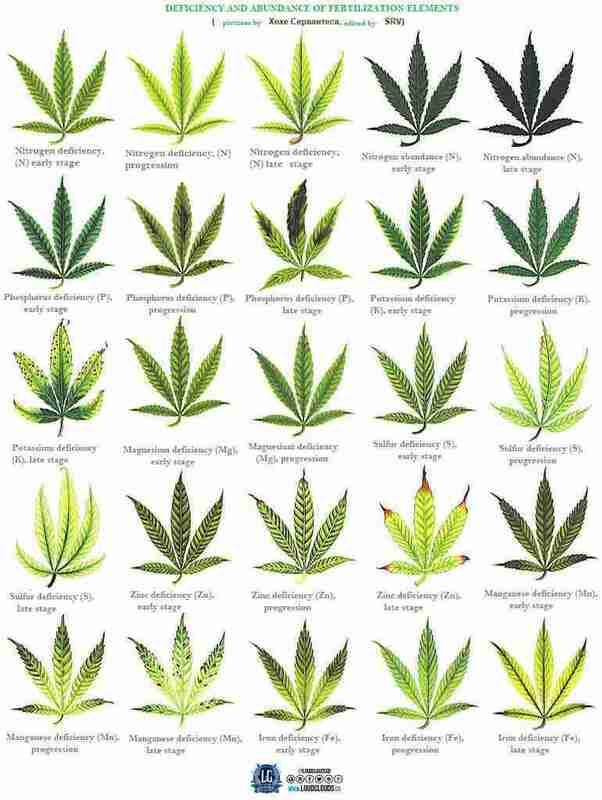 A common problem with growing cannabis for yourself is knowing how to diagnose what may be going wrong with your plants. From yellowing or curling leaves, to stunted growth and beyond it may be hard to diagnose if you do not have much experience or even if you do. Problems can persist with your grow depending on nutrient deficiency or excess in your regimen, but it can be pretty straightforward on how to get back on track with the proper resources. Typically, those problems can be easily diagnosed using these charts I have referenced for you from master growers around the world. 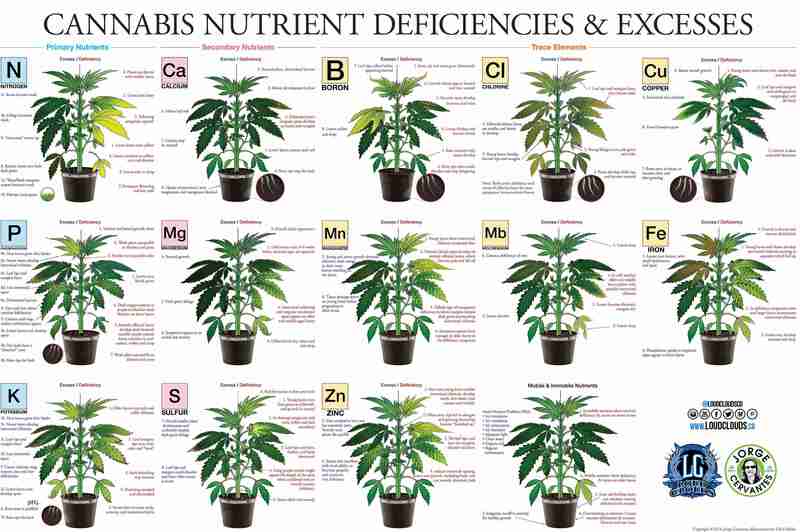 One of my favorite master growers, Jorge Cervantes, provided the first chart we have used to reference deficiencies in our grow. We also swear by his book Marijuana Horticulture: The Indoor/Outdoor Medical Grower’s Bible, which you can buy on Amazon here. 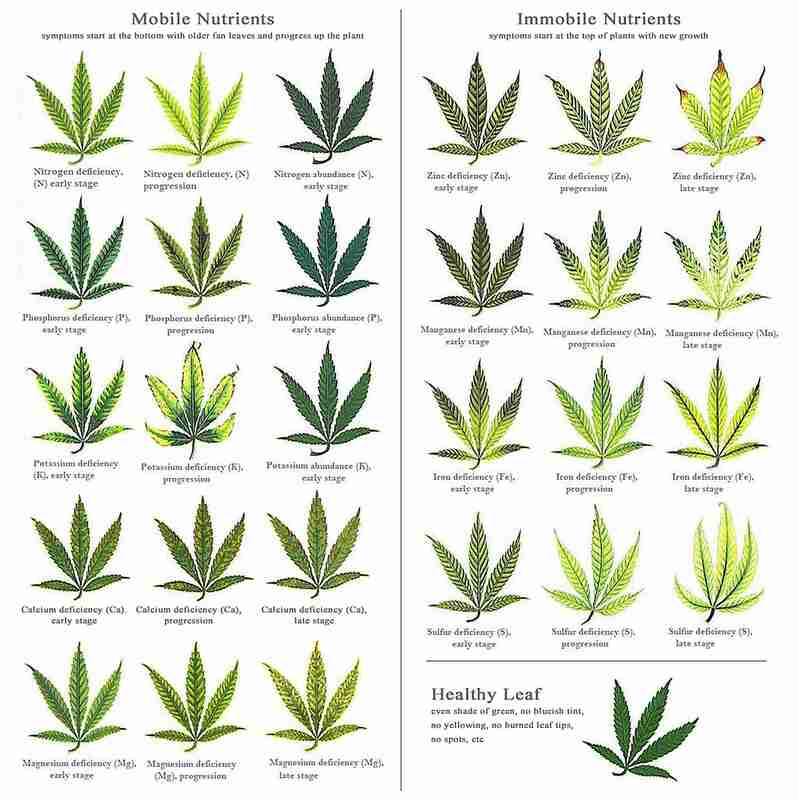 If you have any questions about growing, nutrient deficiencies or cannabis in general; please feel free to leave a comment, ask us on our social media or shoot us an email at [email protected] and we will be happy to help. We will also be providing you with nutrients we love to your in a later post. Tell us which nutrient lines you swear by that work for you, we always love trying new things out!